Services/price page - yes or no. It's been some time since I started working on my services page and I think that, I sort of, riched the point where I felt like to publish my "services page"
I would like you to have a look and share any thoughts on the structure and overall quality plus suggestions for improvements. I think I need to mention that the way I designed everything is also with lots of SEO in mind. I'm late to the party, but I find it odd after all the talk about putting pricing on your website, or at least ballpark pricing...the only page you list any pricing on is your event page (which to me, could easily be variable pricing based on the event). I understand commercial projects could vary widely...but portraits seem like a genre that could get some sort of pricing structure. Yes for standard service. I found it a good way to screen way prospects that are not within your price range. Hi guys, the pages are still, sort of, work in progress, but I decided to publish them because of SEO reasons. I will be editing them further, and fro portrait photography I'm thinking to setup something of the sor - Sessions starting from £ something, something as there are so many different scenarios within the genre of portrait photography that can reflect on quoting price. I started with the idea that I would not publish the price and allow for a bit of wiggle room depending on the customer and the details of the job. I realized pretty quickly that pricing became so complicated because many of the people contacting me were looking for something else but didn't know because I didn't make it clear. e.g. they were looking for somebody extremely cheap and never would have contacted me if they knew my price point. Now I publish my price on the website and everybody knows what to expect before contacting me. It makes things much easier when we can just focus on what the shoot will be and not on how much it will cost. Customers who are genuinely shopping for photographers for the most part hate the process as much as people hate buying cars from a car salesman. When you post "call for info!" or "contact me to find out more! ", most potential clients click to the next option. I have studied my Google Adwords results over time and Google ads that pointed people to webpages with pricing got many more calls per click-throughs than webpages without pricing. I also agree about the point of not wasting time with a client who cannot afford me - posting prices prevents this. That way, when your phone rings or the email comes in, you know they've seen your prices and have budget to cover it. 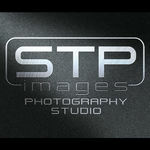 @STPimages, thank you very much. Your comment is very constructive especially backed up with some well observed data from Google. I will rethink the approach to the different services on my website. I learned a long time ago that potential clients don't want to be educated about creative fees, licensing, term of use and just want a number. The link from your Commercial page is just that and doesn't give anyone an idea of your range of fees. I chose to simply present my images and motivate people to contact me. Anyone who has any experience commissioning work knows the dance and those who haven't probably cannot justify or afford my services. It's fine if you only shoot weddings, portraits or events but otherwise I would not do so. You're welcome. I have been gathering this info for over 7 years through my Google Ads account for generating web traffic. My results are tangible and measured in dollars, not theoretical hypothesis. Wishing you success. No pricing on really ANY website just screams "my prices are so high, that I need you to contact me so I can talk to you and give you the hard sell to afford me." Mostly people just move on to another site and not complain. So if a vendor says in their defense they dont get complaints about no visible pricing, its really not a credible stance. Some of the clients I have spoken to after booking them have told me that when they see "call for pricing" or "call for info", they feel it is a less than credible business. Any thoughts on a webpage that says "Sessions start at x" or "packages starting at "? Does that turn people off? Lara White does that and advises it in her marketing book. Then again, her target market is wealthy brides. When setting up my website I started with visiting a bunch of other photographers pages, I made notes of what I liked and what I did not like. I also talked to several people about what they look for. Everyone I talked to said they want to see pricing. Granted that may just be the market I am in (lower end). You know that saying "If you have to ask you cant afford it", I kinda live by that. From the business side I have my pricing, my contracts and several other documents all available on my website. When someone emails me, they have all ready had the chance to look over EVERYTHING, there is zero surprises. This also filters out people that A} dont want to pay my prices and B} dont want to agree to my contract. Me, as a possible client...if I don't see some pricing guidelines on a site...I go onto another site. I don't have the time to phone or e-mail the photog just to learn they are not within my price range. When you go onto the b&h site...are you happy to see their prices? OTOH, B&H is a retailer of 'commody goods' and these items are readily available elsewhere, so declaration of pricing for 'commodities' is an advantage for B&H. But when the enterprise deals in services that turn into the sales of commodities (the prints or the photos on disk) you want customers to appreciate why your customized services are 'better', or that you as the PERSON PROVIDING SERVICES is a better choice than the than 'commodity services' provided by your Zippy-the-Chimp competitiion. I go to a somewhat large hardware store rather than the commodity big box store for the advice and personalized service I can get, whereas the folks working the big box stores are typically not useful for any information other than which aisle on which to find specific commodity goods. OTOH, I did professional photography in an era (film) when clients were seeking more than a 'walking shutter pressing finger, who provides me with hundreds and thousands of digital photos on a disk' at the lowest possible price like so many clients today.